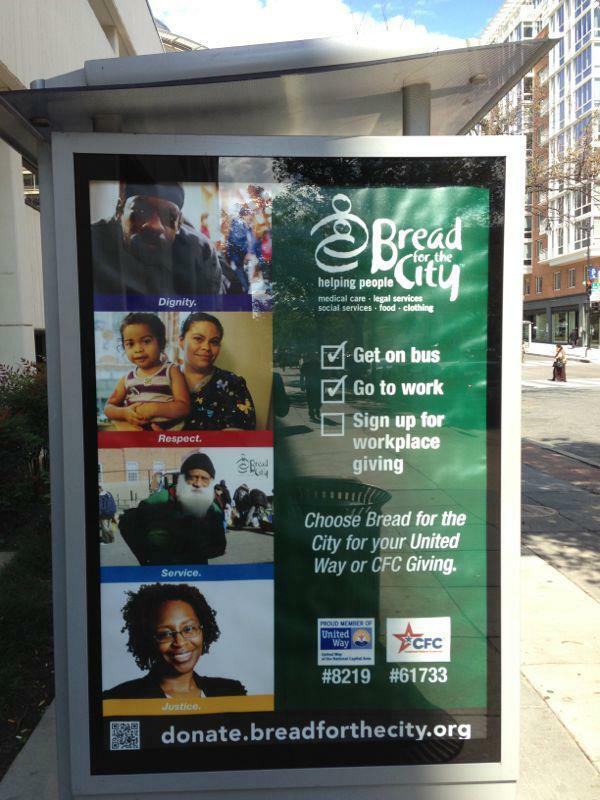 One of the great things about PCG is the opportunity to work with Bread for the City, a D.C.-based non-profit organization that provides food, clothing, legal and social services, medical care and a host of other services to those in need in the District. Last year, PCG began a partnership with this organization, developing a Metrobus advertisement to support BFC’s workplace giving campaigns. This year, we’ve expanded our support of BFC, running a full-blown marketing campaign to increase workplace giving to BFC through the Combined Federal Campaign (#61733) and United Way Workplace Campaign (#8219). You may have already seen a few of our advertisements; they’ve been included in special sections of DC’s metro publication Express. 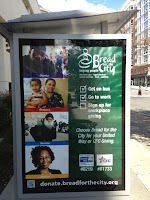 We’ve also placed two Metrobus transit shelter ads at 23rd & I NW and 23rd & Virginia Ave NW. And look for the new outdoor building banners now hanging at BFC’s two service centers! Our outreach has also included a substantial social media component. All our collateral materials have featured QR codes, so passersby can easily scan it and make donations on the spot. BFC updated their Facebook page with attention-catching images to support the campaign. They regularly publish posts and tweets about workplace giving, and they’re running a Facebook ad campaign to educate people about the process. The campaign has only been running for a short time now, and we’ve already received an overwhelming positive response. One person who saw the transit shelter ad even requested a copy to hang in her office! So keep a sharp eye out for BFC’s campaign through December! We certainly will be.